Phil and Rhonda Vigeant have been at the heart of the super 8 film community for over 45 years. They’re at the forefront of analog film, and camera technology and are the go-to experts for heavy hitters in the film industry as well as mentors to the amateurs. 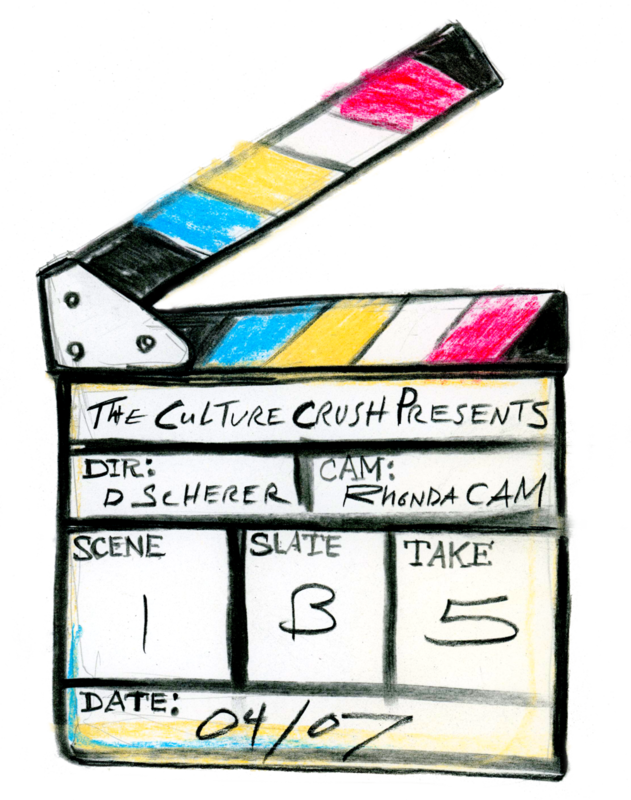 Culture Crush founder Debra Scherer sat down with Phil and Rhonda at their Hollywood headquarters, Pro8mm, to discuss all things film, the enduring legacy of the super 8 format, and the importance of triggering visceral memories. Debra Scherer: It’s exciting to be speaking with the king and queen of super 8, Phil and Rhonda! Rhonda Vigeant: (laughs) It’s great to have you here! DS: We’ve been dying to do this for so long and now we finally are. RV: It’s interesting because this is our 45th year in business, so when people talk about super 8 from a nostalgia point of view – I’ve never looked at it that way because this is something Phil and I have been doing for years and it’s very much something we’re still doing. The trends change, but never once in these 45 years have we seen a huge drop or a huge resurgence. I think it’s always attracting people. DS: Right, and why do you think that is? RV: There’s something really organic and unique about it. It was originally created for home movies. It’s the most organic real information you can get when an average person is shooting that camera in real time. PV: I think the central difference between super 8 and other film techniques is simplicity of use. It’s simple enough for an average person to pick up this camera and make a home movie the way a professional would. It was created to expand the market not only for home movies, but to as many people as possible. I think that’s still what draws so many people to it. You’ve got a 100 plus year tradition of shooting images on motion picture film, right? Phil Vigeant: So of course, you want to do some of it yourself. The easiest way to do it is to go out and get the least expensive camera and the least expensive form of film and go out and experience it for yourself. You can tie yourself creatively to that 100-year history of people making motion picture films. RV: I mean let’s face it – some of the best cinematographers of our time started on 8mm or super 8 film because that’s what they had at home. And I think just the fact that you could bring cinema into the home and emulate what was being done theatrically was interesting to people. You’re documenting your own life. I always say when you watch home movies you get huge insight into your family dynamic. So, I think that carries over to the trends today – we just want something organic and real. When people start pulling out their iPhones and start posing and then we start thinking about the dialogue in our head that we want to say, you don’t get that with super 8. Not having sound is a huge advantage. You’re getting an in depth look at how people interact with body language and facial expressions. DS: That’s what I always say. I don’t want people posing. Once you do big “lights, camera, action” it changes people. The whole dynamic changes. That’s why with my own filmmaking, I just wanted something I could slap in and point and shoot, but still get emotion. The more I used it I started to learn what film to use to get great shots, like if I was shooting a mountain in the sunset I learned what film is best for that time of day. I developed the aesthetic after the fact, but that wasn’t why I did it, you know? RV: That’s totally true. Film stock has definitely gotten better and better over the years. Kodak’s Vision Series 1, 2, and 3 are just phenomenal because they have so much latitude. So now we can capture images in lowlight that we might not have been able to get before. Now we’re bringing the analog into a digital platform and we’re not cutting and pasting the frames. You’re getting these amazing images that still have the raw feel to them. PV: Film technology has progressed and it continues to progress, even to 65mm right now. We produced the first color 8mm in the '90’s because we knew we needed to bridge the formats between its world and the world of professional film making. It allowed us to be able to record in bad light or low light no matter how cheap the camera. It didn’t matter because the film would absorb some of these problems. DS: Even in a dark space or indoors at an event, it works perfectly. PV: Definitely. In the past, 500 didn’t exist in super 8 and was always such a struggle. You’d have to use that big movie light to get any picture inside. Now film can do that. If you wanted to think in terms of what Chris Nolan does, if you’re doing the same thing as he is with the aesthetics of film, your mind is after his shots. You’re working with the same clay as him now so you’re getting closer to that progression of – you started in super 8 and now you might want to do it in 16mm because of the parameters. Basically, you can get the base knowledge and the building blocks of understanding from using 8mm film. DS: Yeah, I just feel like even since I started shooting it I would always shoot the black and white because I thought I couldn’t shoot color since I can’t light anything and I didn’t know what I was walking into. But now I don’t have that fear at all. Now I almost never shoot black and white. The color just looks so gorgeous. All the beautiful aesthetics and purple diamond flares. That’s kind of our thing. We try to lean into the idiosyncrasies of whatever format we’re using. I think there really is something to what you were saying, you start noticing things that you didn’t before, especially because super 8 cameras take such a quick shot. RV: Something we’re very proud about, after doing this for so many years, is we’ve built a great community of loyal clients and friends who keep referring other people who want to try it. And what could be better than that? We walk people through the process and spend that time with them and that’s what we’re doing most of the time now. People are buying cameras on Ebay and because they’re not teaching much film in film school we have become the educators. DS: (laughs) I know what you mean! 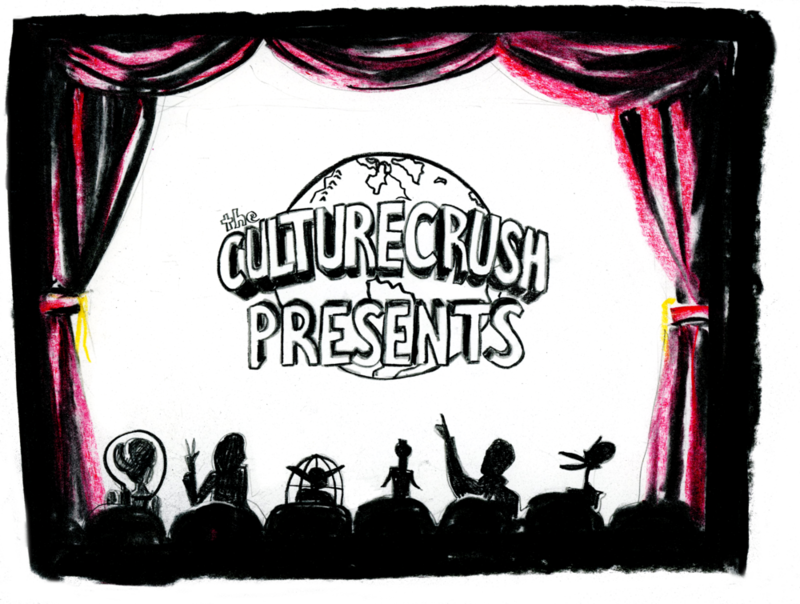 The Culture Crush has almost become like a school, like an academy. PV: You’re on the state of the art of what you’re doing and you’re progressing the thing. Your sensitivity to the paper you’re using – you know it’s not just words on a piece of paper. There’s more to it. And that kind of thinking is what creative groups of people all think that way, whether its film or magazines, we all feel we need to dig a little deeper and get into the subtly in order to deliver our message. PV: We’re constantly moving. We progressed from standard pictures, to high definition pictures, to log pictures. We’re moving our flock into the new millennium. We want our team to understand the creative advantages that come with these changes. We’re kind of bumble bee-ing around people and suggesting what to use and try. Right now, we’re probably moving in the direction of people self-color correcting their own images. This will help an entire generation of super 8 filmmakers because it will bring their budgets down. The whole motion picture industry has already moved towards that and we want to bring that knowledge to our whole super 8 community. DS: You brought up something about major Motion Pictures. You’re here in Burbank so you’re connected to the whole scene of bigger production. RV: We work on a number of television shows. Like you couldn’t pay for this kind of publicity, the kind we got in This Is Us. DS: Oh right! He always has his super 8 out! RV: That’s right! In one episode, he returns his golf clubs to buy one of our Canon 814’s and they used it in several episodes. They pull out old home movies to reference. It’s just an affirmation that even in the mainstream, what we see and what we remember are often two very different things. But when you capture it on film, which is very organic, it’s almost like a trigger or gateway to your memories. DS: Even today, even with the RhondaCam, with that zoom you can really get intimate shots with strangers all the way down the block to capture these life moments. Real life. RV: That’s what’s so great about it. Film is archival. One thing that drives me crazy with this generation is once it’s uploaded to the digital platform, they don’t want their original reels back. For me, the archival value of shooting on real film is paramount. But educating people about this is a challenge. DS: Yes, Culture Crush we feel the same way. Last week we were talking about zines. In media right now a lot of websites are getting shut down and now writers don’t have their articles and have no access to it. People just assume it’s forever, but it’s not true. RV: When Kodak reintroduces Ektachrome it will be interesting to see if people will want to start projecting their film again. DS: So technically, what’s the difference once film is scanned and projected vs. being put on an actual film projector? PV: In my opinion, it’s worse using the original film projector. DS: I saw the difference the first time you did the first scan, it felt like a new world. PV: You’re used to an expanding of super 8 when you scan, but in film projection on a film projector, you’re actually contracting. The projector is really limiting in how much light it puts out. Where if you’re projecting it digitally and you want to show your super 8 film you can just plug it in at the ArcLight Theater. DS: Many music videos were originally done on super 8, right? PV: Yes. Eventually when music videos started to become a thing, filmmakers turned to super 8 to create music videos in a cost friendly way for their friend’s garage bands. This was kind of the rebirth of super 8 after the downfall of the consumer market. RV: The interesting thing that happened though was, those big musicians and stars saw what the small garage bands were doing and followed their leads. Paula Abdul’s Straight Up was shot on super 8. Madonna’s Erotica. Sophie B. Hawkins made a feature documentary on super 8. This was like groundbreaking in the ’80’s. PV: Yeah, it really grew from that garage band thing to being super mainstream. It showed you can do something in a professional way with super 8. RV: I think the real issue is we’ve always been a non-union shop and we’re in Hollywood. So, we’ve been b-roll. The reality is we’ve worked on every episode of MTV and VH1 behind the music, but never got a credit, which is fine, but people graduate and want to use the same cameras they used in film school, which is super 8. So, we’d fall under the radar, but because there was no union with super 8, people could come in and shoot b-roll and it’d still be part of all the productions. We used to kid in the '90’s and say we were “Hollywood’s best kept secret” because we were working on so many music videos in that era. DS: I feel like you guys have always been a secret. When I first met you Phil, we talked about the labs I would use to develop film and I met you because I found out all the film was being sent to you guys to develop for the labs in New York. PV: (laughs) We will always try to help whoever is doing super 8 out with any support possible. What’s given us the ability to afford to progress is most people started out in their backyard with super 8. You have people like Spielberg calling us up and with his current film reels being like, “Hey Phil, we want to put this in our movie can you edit to 4k.” It’s amazing how on one hand it’s a $1 million budget, shooting with the greatest pieces of technology that exists today, yet we’re still having conversation about the scene in this movie and how we can integrate the super 8 footage into it. RV: A lot of times it’s archival footage, too. We just did a documentary on John Coltrane and we used footage from home movies that no one knew even existed. They built a whole documentary around a suitcase of super 8 that they found. PV: Documentaries are being born now out of the old super 8’s people find. People never even imagined that they would use the footage for anything because it was so bad, but now that you can make it this good you can base the documentary on it. So, the technology still has a lot of play in all aspects of the entertainment business. RV: And sometimes it’s brands. We did the whole Estée Lauder family archive. The family actually found some old super 8 film when cleaning out their summer house and decided to use those home super 8 films for a commercial campaign. DS: Yes, because it’s real and people want real stuff. It’s capturing life. I think that’s what we’re dancing around here, it’s better actually getting better with digital. The more you’re tuning into reality usually the better the digital gets the worse the archival gets, but in film stock it’s opposite. The digital is making the film better and easier to use. It’s clearer now. Super 8 is not nostalgia, if you put on a Led Zepplin IV on vinyl it’s a physical experience, it’s the sound moving through you. Super 8 has a physical depth to it that causes physical emotion. RV: You can feel the texture of it all, there are layers upon layers of it. PV: You see so many more details in those frames and those details are really the triggers of your memory. When you can see your mom and the color of the dress she’s wearing. When you can see the wallpaper. Your memory really goes crazy. You can really see what that fur coat felt like because of the quality of the scan. You can almost touch your grandmother again. You can smell the cooking. That’s a big part of it, the detail level. Anything that can make you remember more is a huge positive gain. RV: I have a question for you Debra, in shooting the stuff that you do, what is it you see in your eye that you know you couldn’t get with anything other than film? Your stuff is just so amazing, what is it that you’re connecting with that works better in film? DS: Thank you! My approach with pictures and shooting footage has always been to illustrate ideas. I go into it already with an idea and go out into the world looking for something to illustrate that idea. I approach my stills that way and I’m the same way with super 8. It’s all the details and the millions of cuts. I try to gather as much visual information as I can in that moment and then come back to the studio with a huge pile of this information and then sift through it. I never have a story, just an idea, and the story comes during the sifting. I’m just like “this could be a good shot, that could be a good shot.” What we do is a series of shots and what we can do with them in terms of the timing of them. There’s so much you can move around. It’s like you’re sewing together a quilt. I think super 8 really attracts the creatives that take things super personally. Everything means a lot. RV: Yes exactly, you don’t overshoot so you become more attached to what you’re shooting. DS: Yeah, for example with our latest film, The Underdogs, we went to Philadelphia and we got all this great footage of the Eagles fans and all this drinking and craziness that went on. Nothing was planned, it’s just being there and being the man in the crowd. RV: A big trend we see, that has to do with you know, being there in the crowd, is when people call us they refer to themselves as artist not filmmakers. And there actually are a lot of art schools and art departments buying super 8 cameras. Not film departments. I think artists want that experience of creating something uniquely theirs that isn’t going to be like much else out there. It’s really cool. The art world has really embraced super 8. RV: Honestly, one of the things we pride ourselves on is that super 8 is a pretty green format. You’re repurposing cameras that are 50 years old, film is made with silver so you’re recycling that. PV: Also, when you look at cost you can’t really make a direct comparison between film and digital because digital is designed to take a volume of pictures quickly and film is not designed that way, it’s designed to take a specific group of pictures cost effectively. It’s a style of producing and a lot of people have seen the value in film style production. Even though you’re shooting in a random way, the person using the camera is conscious of how much film is left in that camera so it puts more pressure on what’s going on. When we work with kids, we tell them to go out and take a 3-minute shot with their super 8 cameras. We have to show them to be after the end product, to use their 50 shots and to not think of it as they would digitally. We had this guy who needed to make 30 second videos for an Instagram fashion campaign. He created 25 commercials using super 8 for a couple thousand bucks. What other median could you be in where you can create 25 great looking unique posts for that kind of money. If you have a real sense of what you’re using it is extremely cost effective. RV: The campaigning for Instagram is a huge trend right now. PV: Instagram has become a commercial space. Companies take it more seriously and produce something now. So they spend some money on it and it can become a tremendous opportunity for filmmakers, because now companies are willing to cough up a budget for commercial posts. DS: Yeah, again I started using super 8 because of the size. It’s not a huge thing that needs to be smooshed down. It makes sense to be small. PV: Exactly. Small screen should be small film. The relationship between 8mm frame and the iPhone screen just makes much more sense and that’s super 8. Super 8 starts these kinds of things, it all depends on size. DS: I’m so glad I found you guys several years ago and to have become part of this community. You gave me the confidence to explore with all of your support and knowing you’d be here!